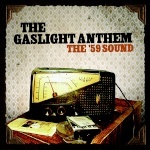 The Gaslight Anthem's Brian Fallon offers a reflective cover of the late Tony Sly's Capo 4th Fret on a forthcoming tribute album to the late singer. Fallon's version of the poignant song, which premieres at USA TODAY, features sparse instrumentation, nothing more than acoustic guitar and harmonica. It ends with the lyric, "I will live for the sake of others, so they can do the same." I thought it was pretty good. Definitely very Dylan like, but very good imo. Thoughts?